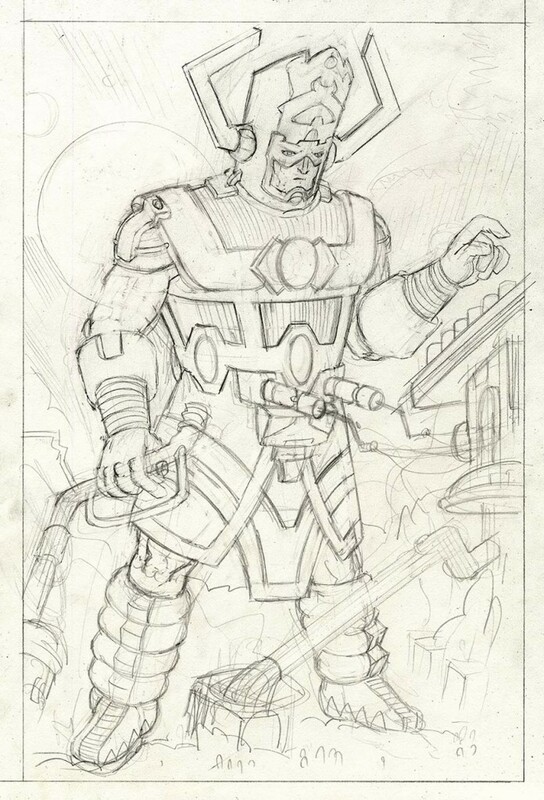 GALACTUS was created by Jack Kirby and Stan Lee. This is my first time drawing this iconic Fantastic Four character. 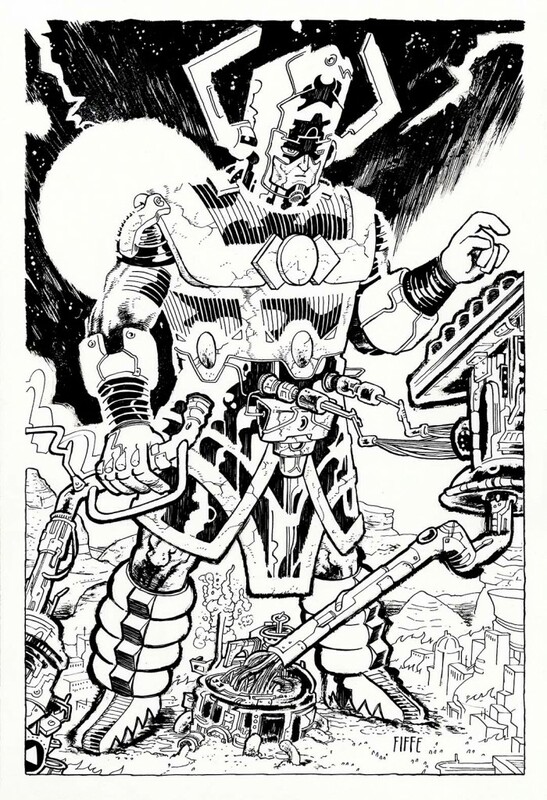 Drawing this quintessential Kirby design — drawing any of his creations, really — is a true privilege. Above: the final piece. 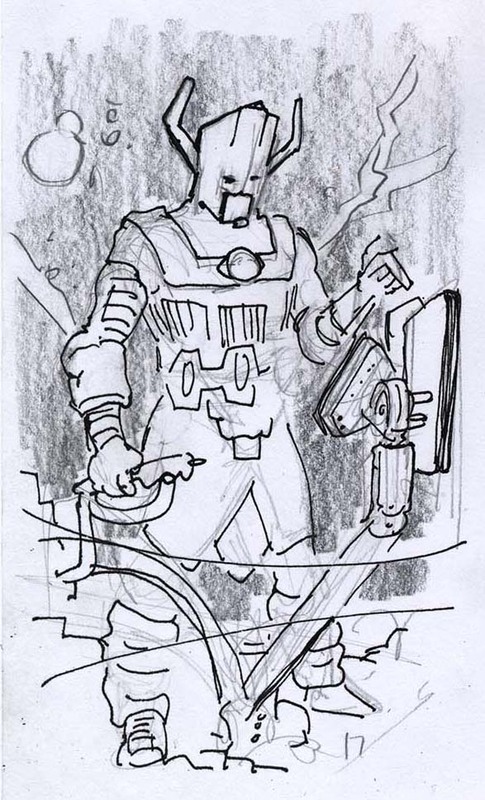 Below: as tight a pencil drawing as I can do and its preliminary sketch.